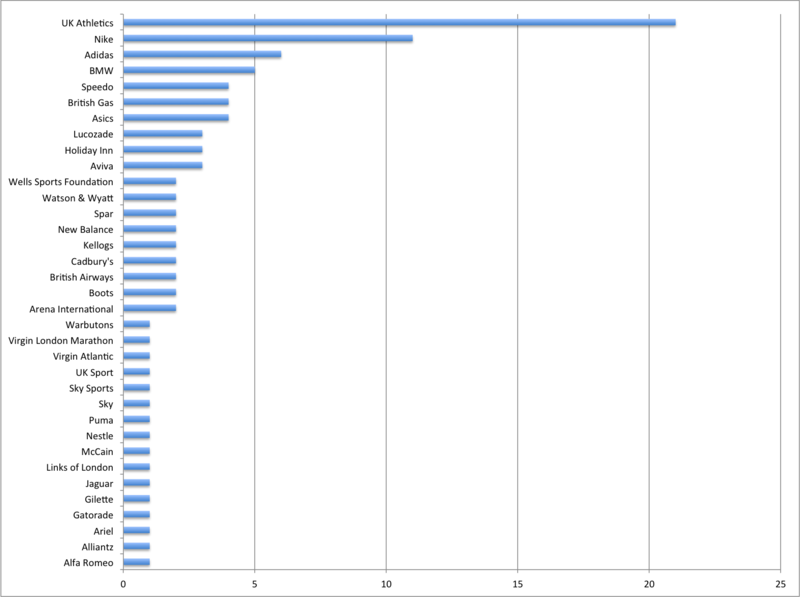 Following the spreadsheet which focuses on the sponsors for a selection of this years athletes, check out the graph I have created to make this information clearer. As expected the big sponsor names such as Adidas, Nike, Aviva, BMW, British Gas and Speedo are amongst the companies sponsoring more athletes in comparison to smaller companies. Nicely done. 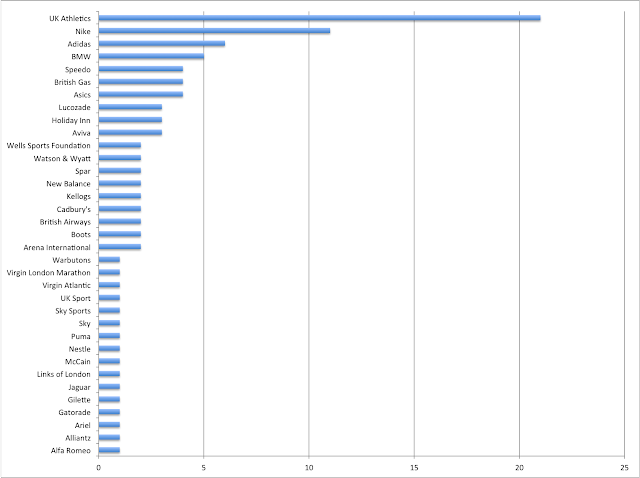 Try to organise your bar chart so it's from biggest to smallest. You should also think of focusing on fewer sponsors so it's easier to take in as a whole. In the text you don't need a colon before the sponsors' names and it's more athletes they're sponsoring, not more athletics.